The oil is light and fast, and works equally well in piston and rotary valves. Its special properties work in the smallest piccolo trumpets and the largest tubas. The oil works really well. Works very well on rotary valves. Smooth action. 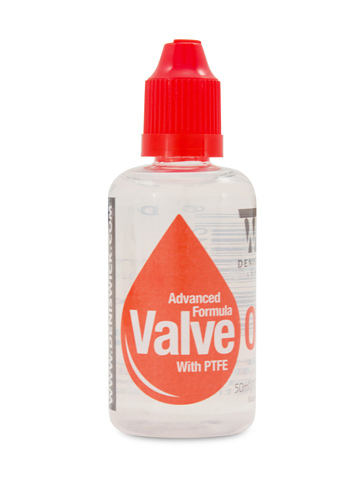 Always use this oil as it provides a slick reliable action. Denis Wickes valve oil this time. Best oil I have ever used (I've tried 'em all!) Lasts for ages (several day's playing) and doesn't smell too bad either!